Kitchen Remodeling: Where do I Start? Kitchen Remodeling: Where do I Start? If you are a home owner and considering a kitchen remodel, it can be difficult to know where to start. Should you remodel the entire kitchen at once, work on a few affordable areas or do a little bit at a time? For your first ever remodel, it can be beneficial to work with a Los Angeles remodeling company in order to see what all is involved, an estimate for the job as well as timeline. These factors will vary depending on what you plan on doing to your kitchen. Learn how to get started below. To begin, you need to decide what you want to change. Start by taking a tour of the kitchen. Look around. What do you not like about the space? Is it simply the flooring and paint color? Or perhaps you are not satisfied with the cabinet wood, light fixtures and decorative elements. Whatever the case may be, make a list. Write down what you wish to change so you know what to price out and if you will be in need of a contractor of if you can do the work yourself. Next, you will need to consider your budget. Do you have a small budget or a nice chunk of change set aside to spend on the remodeling project? You will need to compare pricing on materials and check to see if you have enough to do the entire project or if you should work in stages. In most cases, it is best to do the full remodel at one time. If you do not have enough money in the budget, take time to save and then complete the remodel all at one time. This will save time and money as well as help you to have a completely new kitchen to enjoy. Once you have decided on what you wish to change in the kitchen and have a budget set, you can work with a contractor to choose materials for your kitchen. Be sure to try and stick to your budget on each section of the remodel of you may have to make changes to the plans or choose different material types such as cabinets or flooring in order to make the budget work. A contractor will be able to provide you with a variety of materials to choose from when it comes to flooring, cabinets, countertops, light fixtures, etc. You can go the affordable route in every area and upgrade certain items such as countertops and cabinets as you will be using these features the most and they are what gives the kitchen value. Overall, it is recommended that you work with a contractor when it comes to any kitchen remodel. You want to have someone on your side who can provide you with insight to your project needs and wants as well as has the know-how to complete the remodel on time and on budget. By working with professionals, you can rest easy knowing that your remodeling plans are in good hands. Now that we are through the holidays and the New Year, it’s finally time to stop procrastinating and start turning the house remodeling gears. That long list of improvements you created last year has been gathering dust for far too long, and with spring just around the corner there’s never a better time to get remodeling. While that list is probably long and distinguished, it’s important to narrow your scope down to a few projects to make sure you follow through rather than drowning in the overwhelming flood of ‘must do’ items. Keep it short. Keep it simple. Keep it on budget. With a streamlined set of tasks laid out with a clear budget and a clear schedule, you’ll be free to complete your remodels relatively stress free. Here are 5 simple but life-changing remodeling ideas to improve your house this 2017. 1 | Exterior Siding Improvements You’ve probably been yearning to take this task on since you purchased the home and decided to ‘live with’ the pink board and batten siding with bright purple trim. Well, now’s the time to stop yearning and start doing. It’s never been more affordable to bite the bullet and re-side your home. Not only will you increase market-value and weather protection, you’ll have full creative control to give your home the curb appeal you imagined it having. 2 | Flooring Updating your flooring is a no-brainer, and should be considered to be a worthwhile improvement for anyone’s first project. It’s a great way to ease yourself into the ebb and flow of a remodel project without breaking the bank (or more importantly, your spirit). Just like with exterior siding, there are unlimited options, so it’s best to agree upon a general aesthetic first and look at specifications later. Hardwood flooring is the most ubiquitous material choice, whether solid or engineered hardwood. If you’re looking to re-floor your home on the cheap, manufacturers are working magic these days with engineered hardwoods. Bamboo is a great option too because it’s sustainable sourced, easy to install, durable, and comes in a wide range of finishes. 3 | Build a Fireplace Not too long ago adding a fireplace to your home meant ripping up some exterior walls, calling the town mason, and applying for a second mortgage to pay for the thing. Thankfully, times have changed, and adding a warm fireplace to your living room has never been easier. If your home is already stubbed out for gas, this proposition becomes a slam dunk, and there are a variety of ways you can finish the feature out – whether it be with brick, stone, or blackened steel. If you don’t have a gas hook-up, there is a growing list of wall mounted fireplace options. 4 | Make a Space for a Home Office You should look into sourcing some commercial grade hardwood floors, plenty of natural light (and ideally a view), and a desk that makes you feel like some work is about to get done. Be deliberate about every piece of furniture, and if you are creating this space by adding new walls, be sure to consider how you will be using your home office so you get things perfect the first time. You might even consider talking to an architect to make best use of your existing space. 5 | Rear Deck or Patio The backyard is the homeowner’s best friend. Host BBQs, a backyard is nothing without a proper place to flip burgers and kick up your loafers. Before you dive those loafers into the deep end, however, you might want to consider how the topography of your yard might determine going with a deck vs a patio. If your yard is sloping away from the house, a deck is going to be your best option. For flat yards, or yards that slope towards the home, a patio is the way to go. Give us a call for help; you will be enjoying a margarita under your veranda a lot faster than the DIY way. 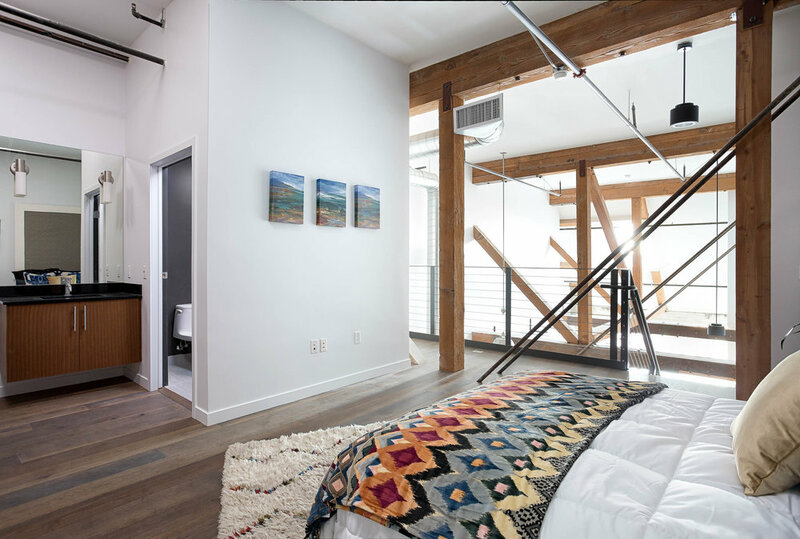 Los Angeles is known for the glitz and glam, and in recent news the city is taking the same route when it comes to home design. Los Angeles home remodel companies are seeing more bold and innovative designs. Mixing materials and colors is a bold way to leave your mark on your home design and cater to your personal style. Some of the hottest looks today, such as the blending of unfinished industrial materials with modern floors and cabinets, would have been considered outlandish only a few years ago. We have learned over the years that matching everything precisely is not the way to go, not all the time at least. We want things to be functional and make sense in our own homes, this is yet the biggest challenge Los Angeles remodel and interior design firms are faced with. Parents understand this, they want a home to work and look good – but be safe and kid friendly at the same time. Opting for materials that are durable and adding in those that are more for sparkle can create a space that never lacks taste. Design is evolving as life changes take place; therefore our designs are becoming stylish AND functional for your everyday life. Another home design trend that is buzzing in Los Angeles is Built-Ins! This does not mean add some built in book cases around your TV in your living room remodel and call it a day. This means that wine cooler you have been dreaming about or that espresso machine will be custom built into your remodel. They will now be designed into the remodel and even save space. This is great news for those who lack space or just want more for their LA remodel. For design tips and your free in home consultation, contact us today! The best place to start with any remodeling project is the budget. Not only will it have a big impact on the type of materials you select for your bathroom renovation, it will also help you set the boundaries of your design. Knowing your budget before you have to suffer a broken heart when you can’t buy that fixture you have been eyeing, will save you in the long run. Going "green" is not only good for the environment; it’s also good for you. Green products have great design, tend to function better, which lowers utility bills, and they’re also chemical-free, making them better for your health. Having an eco-friendly approach to remodeling isn’t just about buying new products, doing something "green" can be as simple as painting a cabinet instead of tossing it in a landfill. Not to mention “Green” remodels are eligible for the HERO program. Ask us today about this amazing program. Want to save some big bucks remodeling your bathroom? Consider refinishing the existing tub and sink, versus buying a brand new one. Refinishing may not be an option in every case, your design team will be able to access your current tub and sink. Don't move your plumbing. On the surface, switching your sink and toilet around may look easy enough, but the problem lies underneath and all the costs involved in moving that plumbing. A remodel and design team will be able to keep your existing layout, without boring you with the same old bathroom you are tired of. DIY bathroom remodels end up costing you more than you expect. Our advice is to leave the remodeling to the professionals who do this kind of work every day. Changing out all the hardware, such as drawer pulls, faucet handles and shower heads, can make a big impact. Small cosmetic changes will save you money and help give you a new looking bathroom. Don't underestimate the importance of lighting in a bathroom. 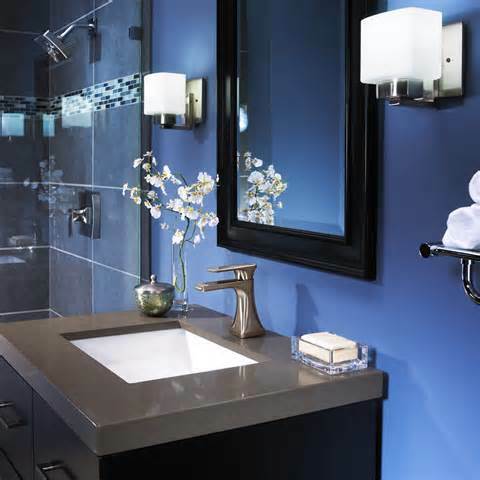 Sconce lighting at the vanity is the ideal way to get even lighting on your face, and installing it at eye level will help diminish unflattering shadows. Dim lighting is nice for a relaxing bath; bright lights are great for shaving or applying makeup. Adding more overall lighting can make a small bathroom seem larger. Ventilation. Ventilation. Ventilation. Moisture is your bathroom’s greatest enemy. Mold and mildew will make quick work of any renovation you’ve done so be sure to install a vent fan of appropriate CFMs for the square footage of your bathroom. The rough guide is one CFM per square foot for bathrooms of one hundred square feet or smaller. New designs are quieter and more stylish than ever and are a must have for any bathroom remodel; they even have stereo speaker ventilation systems. What are the advantages of using a DESIGN BUILD company? Most people when they want to remodel their entire home or just one specific area such as the Kitchen, or the master bathroom, they call up a general contractor or a home improvement company to get bids. Little do they know that, in most cases, contractors or home improvement companies have no experience in designing spaces. They will rely on the client to tell them what to do in terms of finishes and overall look. This is where it gets tricky for the clients, most people don’t have the vision to successfully create a new space from scratch, let alone tell a contractor what to do. So things can get out of hand and usually projects will take longer than normal leaving the clients very frustrated at the end of the project. 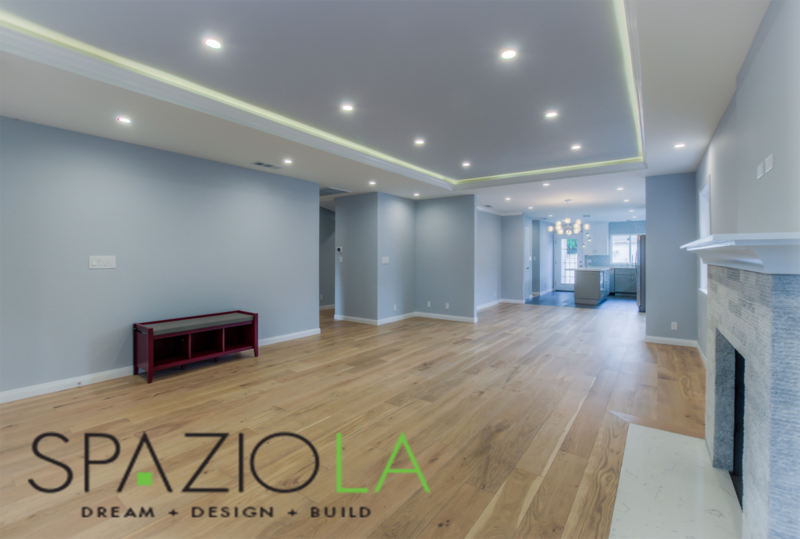 When people hire a Design Build company like Spazio LA , clients get a full team of experts. In other words, a Designer in charge of absorbing all your design wishes as well as incorporating functionality within the overall design; a contractor with a full team of professionals to work on the project, and an onsite project manager that will, periodically, inspect the progress of the project. Design build companies also have a number of highly qualified architects that work in conjunction with the designer in the cases where new additions, structural changes or even new construction building permits are required. A designer is a professional with a degree in art and design that has the tools to come up with ideas and put them on paper or computer so that it can be transformed into reality. What kind of services does a designer provide to my home remodeling project? For one, you can actually look at your designer as your personal assistant and best friend throughout your remodeling process. Your personal designer will listen to your ideas, will share inspirational pictures, and will try to put together your perfect space just like you have dreamed it; and in most cases, even better than your dreams. Your designer will also take you to showrooms to select finish materials such as, tiles, wood floors, fixtures, curtains, and even furniture and art work. A designer from Spazio LA will also visit the project on a regular basis to make sure his designs are well executed by our builders. In sum, your designer is the go to person throughout your entire project and is an immeasurable value to the success of your project. 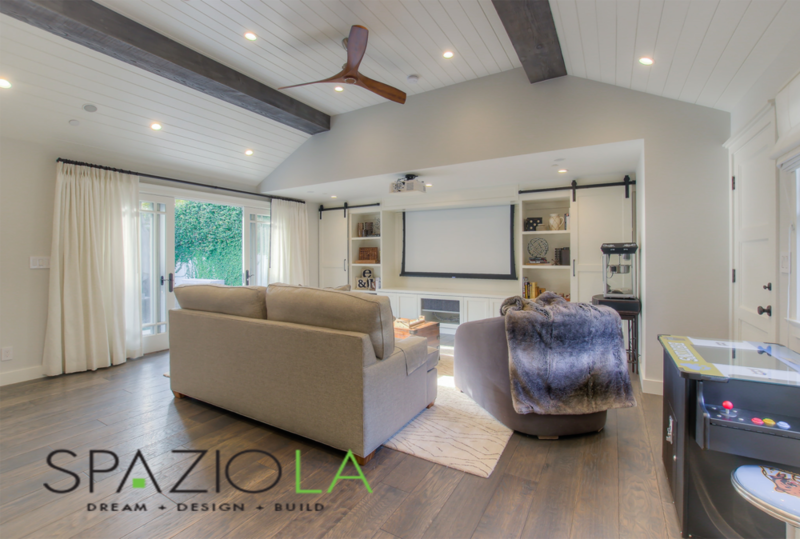 As licensed general contractors, Spazio LA can build and remodel anything that we set our minds to. From complete home remodels to room additions, to kitchens, bathrooms and even outdoor spaces such as pools and patios; Spazio LA has done it all. Different from most home improvement companies, that in order to cut on costs, they would bring a crew that will basically start and finish your project. The same crew that does your demolition will also be doing your plumbing, and your electrical as well as your drywall and tile installation. This been a normal practice among home improvement companies, at Spazio LA we run the show in a different manner. Every crew that comes to our client’s projects is specific to their trade. The demo crew does only demolition and cleaning of all trash and debris. We only use license electricians and plumbers and our tile installers are exclusively doing that for us. This guarantees our clients that the project is done right by a trade professional and with the highest of qualities. Why is important to have a project manager at my home remodeling project? Think of your project manager as your quality control guy, as well as your problem solver. We all know that no matter how good a construction crew is, there are always surprises along the way. A project manager is the one that is there to take care of those problems when they arrive. A project manager makes sure to schedule each crew according to the progress of the project in a seamless way so that there are no intermissions in the job, guaranteeing the early completion of the project. Our project managers have worked in the construction field for over a decade and are very knowledgeable in all aspects of the construction process. Between your personal designer and your project manager, you can make sure you can sleep well at night; your house is in great hands. Spazio LA, was born with a single great goal in mind “customer satisfaction”. By providing a full design build service, we are able to get close to our clients in ways that the home remodeling industry has been lacking. We take pride in our work and are fueled by our client’s satisfaction. Building a better bathroom might look easy, but when you are revamping a small space – it only takes a few mistakes to end up with a disaster. Bathroom remodeling is a complex design process with lots of moving parts and ideas floating around. Just like remodeling any part of your home, bathroom remodeling is no easy task. These 5 common bathroom remodel mistakes are easy to avoid, yet many make. Don’t fall victim to the bathroom remodel fails! To get help with your remodel, contact us today! Best Bathroom Remodel Ideas and Tips Of all the bathroom remodel ideas and tips the very first thing you need to think about is your budget. This will be the first tip and the most important. You can’t plan a bathroom remodel without first knowing your budget for the project and how much of that you will need to spend on each aspect of the remodel. The budget will tell you if you will be able to move plumbing, purchase new or refurbish your old items, as you can see the budget is very important. Set your budget ahead of time to avoid overspending and major disaster. Of course there will always be a chance of unexpected changes, but having this budget in play will be a great guide and tell you if you can get that fancy light fixture you have been idolizing. BUDGET A few ways to save money from this set budget will be to keep the existing plumbing in the spot that they are in currently, this means no redesigning the layout of the shower or sink. You can also save money by refinishing your tub, sink and cabinet. This costs you about a tenth of the new purchase price. Talk about savings! In some cases you will need to replace your existing tub and cabinet, especially if they are damaged due to moisture and mold. Ventilation is a MUST in order to avoid mold and mildew. Don’t forget to add ample ventilation to your bathroom remodel. DESIGN In the design stages remodel experts stress the importance of proper use of lighting. Dim lighting is great for relaxation and baths, though for shaving and makeup application bright lighting is much needed. The use of windows, lighting and mirrors to reflect the light can make a small bathroom seem larger. Tip: Stay away from dark colors when remodeling a small bathroom. Installing a pedestal sink or floating vanity can save flooring space and help when space is limited. 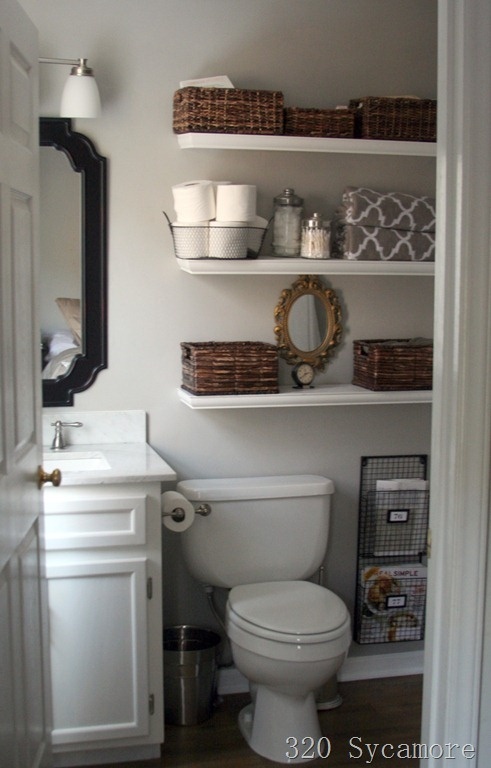 No matter small or large – a bathroom should have an abundance of storage. When designing storage space opt for shower niches to harbor soaps, and consider vertical storage units outside of the shower. Utilize all of the space even those areas that are empty. If you are looking to include extra drawers in your vanity, try adding a vessel sink! Installing your flooring at a diagonal angle can give the illusion of more floor space as well. Use a textured tile or matte tile if you are worried about non slip, also try porcelain or glazed tile for easy care. EXTRAS Water efficiency can get displaced off the list of remodel items, but should not be forgotten. Fixtures and toilets are no made to be the upmost water efficient. Look for a toilet with a MaP score of 500 or higher to ensure you are saving water with every flush. Not only is water important, energy is as well. Upgrade your bathroom remodel wiring and change out your old amp circuit for a 20 amp. Include plenty of outlets to accommodate your electrical items like razor, curling iron, and tooth brush and so on and so forth. You always want to make sure that you have the nice and expensive hand towels that are just for display but you have to remember that people will need to dry their hands after washing them. Fir this you will need a paper towel holder to dispense disposable hand towels. This type of accessory can be screwed into the wall or just rest on the counter top. They actually make very decorative paper towel holders that rest on the counter top these days. They are much better suited if you are going for a certain style or decor in your bathroom. The paper towel holders that are screwed into the wall are sort of a thing of the past. These types of sets can also be very decorative, even if they don’t contain tooth brushes at all. For example, if you were going for a nice seasonal theme such as winter or fall, you can probably find a nice tooth brush holder set that will match these themes. Pair these with your soap dishes, makeup storage and things of that nature and your counter top is set. It is always a good idea to include pictures and mirrors on the wall of your small bathrooms. This is a way for you to show off your personality a little and give the room some life. This is also a way to incorporate more theme type items into the room. 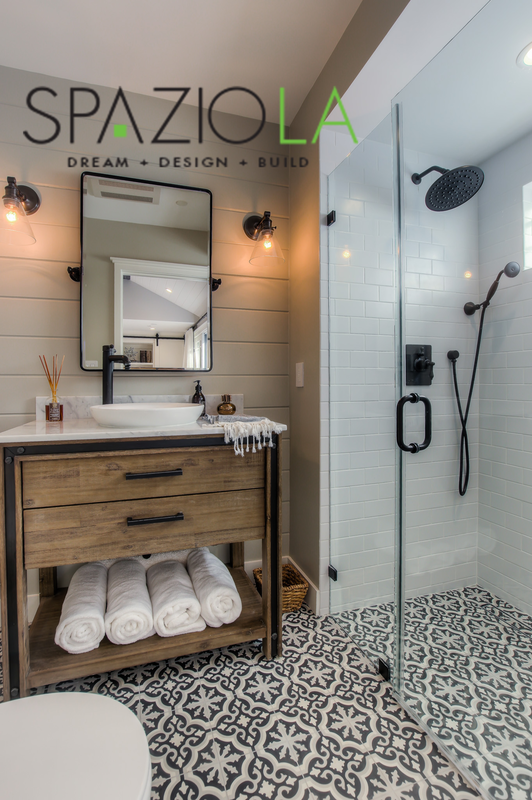 You can create a one of a kind bathroom no matter the square footage. Take your new bathroom and turn back time to Vintage If you are searching for great vintage bathroom remodel ideas you are in the right place. Remodeling any room is difficult when you love more than one style, but vintage bathrooms are even harder to recreate when you have so many small details to remember. With this vintage remodel you will have to worry about everything matching so perfectly. Mix and match storage units in your vintage bathroom remodel. The distressed table fits perfect into this retro bathroom. Arranging a mixture of different size and shaped antique mirrors is a fabulous way to draw in light to your small vintage bathroom remodel. Vintage bathroom designs, which are easily adapted to showcase the style of one or more eras, are equally at home in historical mansions, coastal cottages, city brownstones, and suburban ranches. Explore our vintage bathroom ideas to find inspiration for crafting bathrooms that spill over with collected charm and period-perfect profiles. Take a look and see how beaded-board wainscoting separated from painted upper walls by substantial chair rails partner with floors crafted from tiny octagonal porcelain or marble tiles to set the stage for early-20th-century bathroom designs. Take vintage bathrooms to the retro side by using floor patterns of 1950 and claw foot tubs. The fastest way to get that vintage bathroom remodel look you desire? Install vanities crafted from vintage dressers or antique sideboards, and use heirloom armoires or weathered farm cabinets for linen storage. You can easily create your own vanity with a vintage dresser, porcelain sink and vintage mirror. Vintage doesn’t have to mean old, you can choose stock or custom vanities that sport decorative moldings, raised embellishments, and distressed finishes such as the chalkboard effect. Cast-iron towel hooks, porcelain-handle faucets, and reproduction lighting -- along with antique bathroom fixtures like refurbished claw-foot tubs, pedestal sinks, and stainless-steel medicine cabinets to will help you recreate a vintage bathroom's age-old leanings and ageless attitude. Pictured above is an antique serpentine dresser and mirror purposed into a vintage vanity.